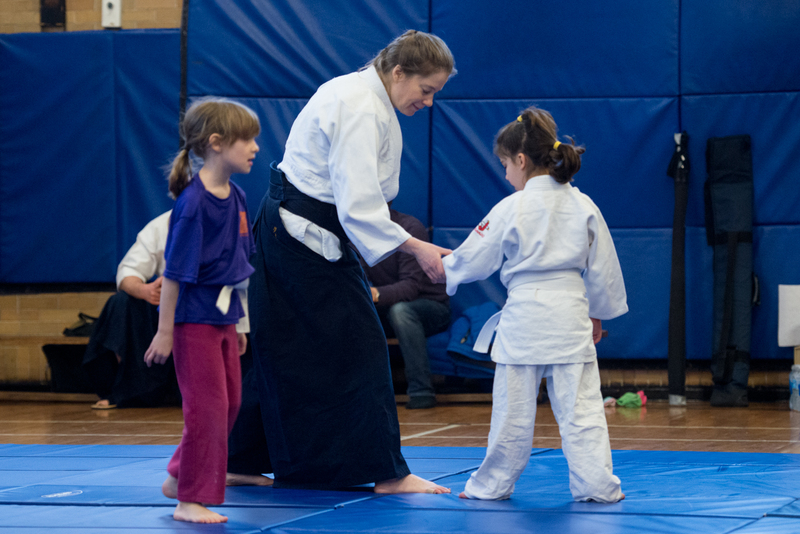 This past weekend represented 5 different groups coming together ....I noticed while kids and adults practised there were many smiles on the mat. A sign of success I think. 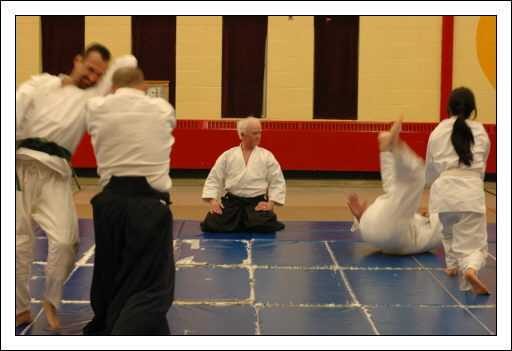 5 different instructors ranked from Shihan (Sensei Derm) to Shidoin and Fukushidoin taught ( Mike, Jim, Terry, Ivan) and many dan ranks (black belts) participated. This represents long term practise and setting goals for aikido. More success on the mat!! A variety of kyu ranks practised each class as well. ALL GOOD ! Friday night ... time well spent ..
AIKIDO for ADULTS and KIDS .... BEGINNERS WELCOME TOOOOOO!! Friday Night Feb 24 ..... reg 5:30 ...class at 6 followed a second at 7 . One hour classes. Saturday Feb 25 ...reg at 9. Kids class at 9:30. Regular class at 10:40 and 11:50. One hour classes! Family rate of $20. One adult $20. Child only $5. Mat fee $20. 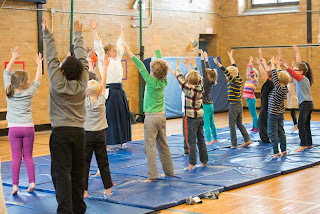 While there are students who have come every week ...new participants are welcome !!!! 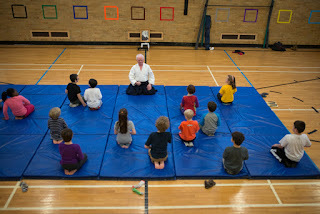 Snow Cancelled Feb 15 Aikido at Bishop Field but ..
WE lost one class to snow but we continue next week. 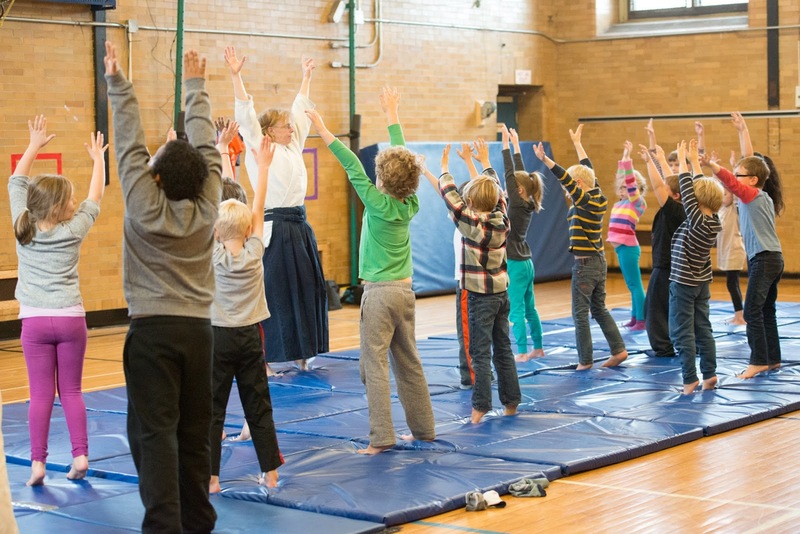 REMINDER for the kids classes- new students can join at any time. AND kids wear loose pants and t shirt. AND NO COST. Sounds too good to be true? There are a few of us around the city who simply love to practise aikido and YES we are willing to share our skill for no cost or very little. This is an opportunity for kids to develop a particular skill that is unique and in many parts of the world costs a lot to learn . 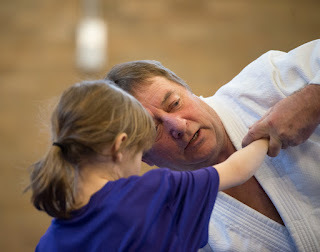 I teach most classes but periodically other highly skilled and highly ranked instructors come and share their expertise. I am very grateful for their generosity. 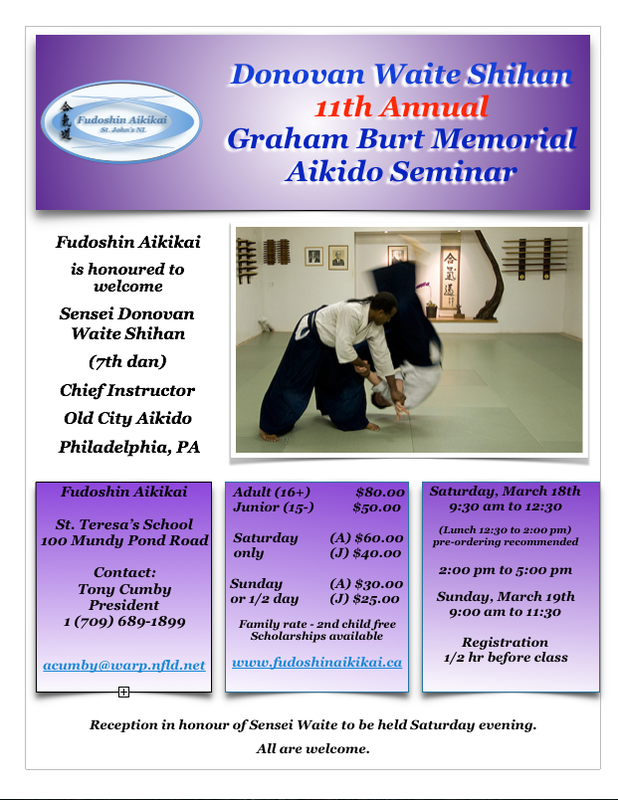 East End Aikido NL will host its 3rd seminar ....each one has included a children's class. Several highly skilled dan ranks (black belts) have taught and/or helped out : Terry, Stephanie, Jim, Mark, Paul, Derm (Shihan), Collette and myself !!! A wealth of skill for our youth !!! 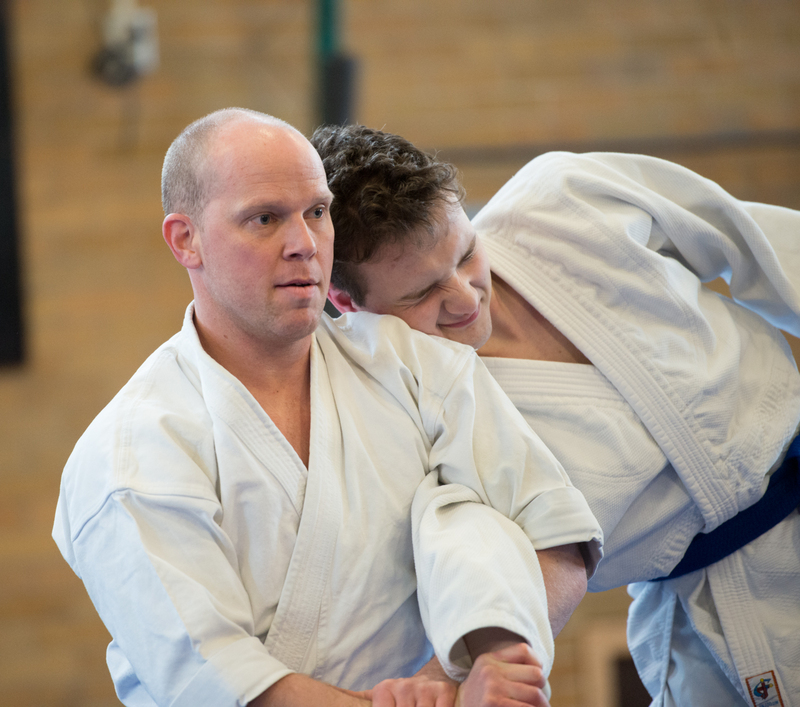 Check out this seminar ...Sensei Waite !!!!! 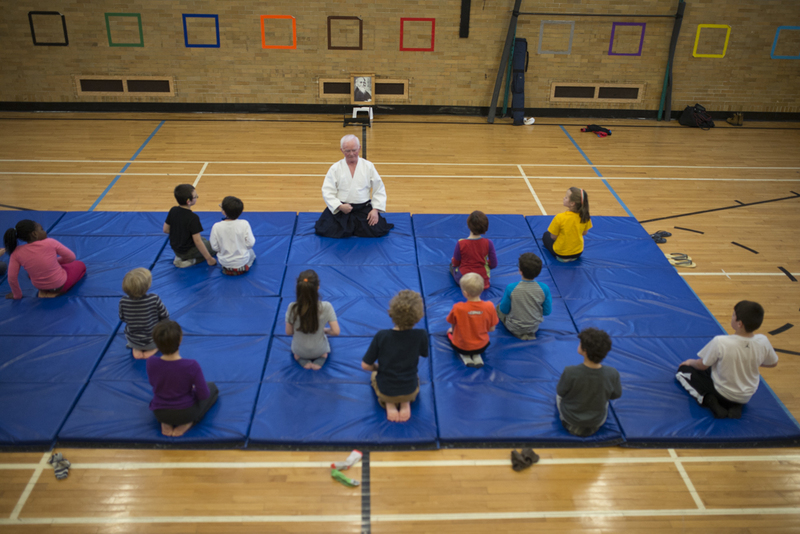 Sensei Waite has a dojo in Philadelphia .. 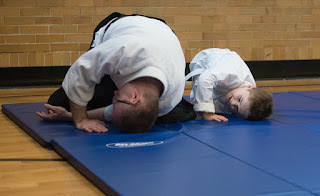 THis pic was taken after an outdoor practise ....AND Sensei Waite is visiting another local St. John's dojo to offer his insight ...!!!! 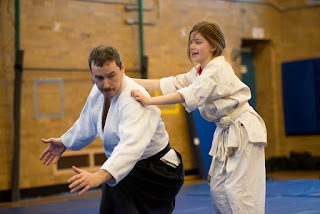 The up coming seminar will hold TWO CLASSES on friday night and a kids class plus two regular classes on saturday .... This format is slightly different from previous seminars. MARK your calendars !!!!!! 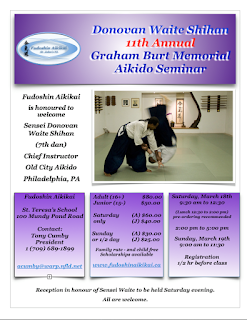 East End Aikido NL will host another local seminar !!! Feb 24-25 local clubs have been invited to have a club rep instruct at our upcoming seminar.